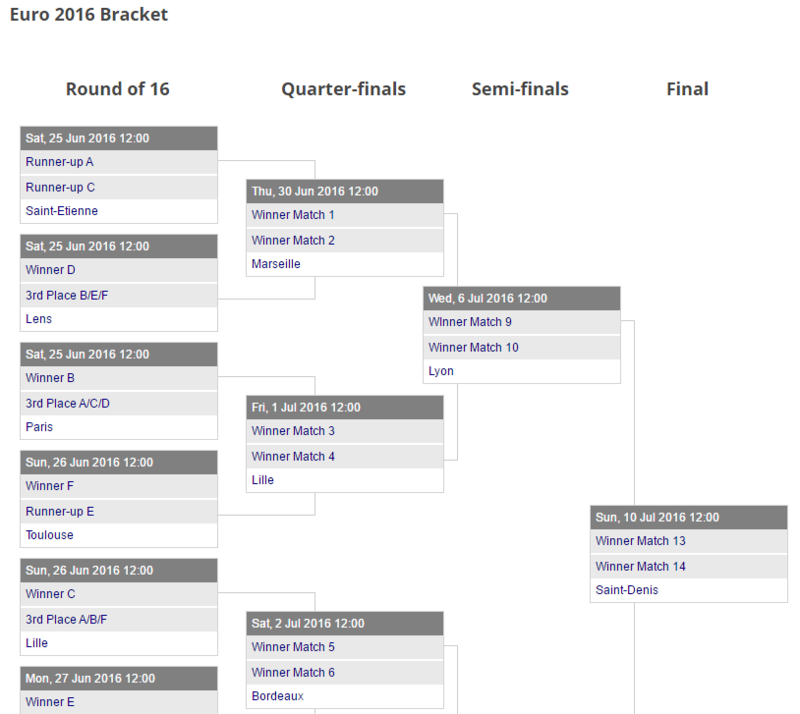 [mstw_tourney_bracket tourney='tourney-slug'] generates a tournament ‘bracket’ (or ‘knockout round’) in graphical format as show below. 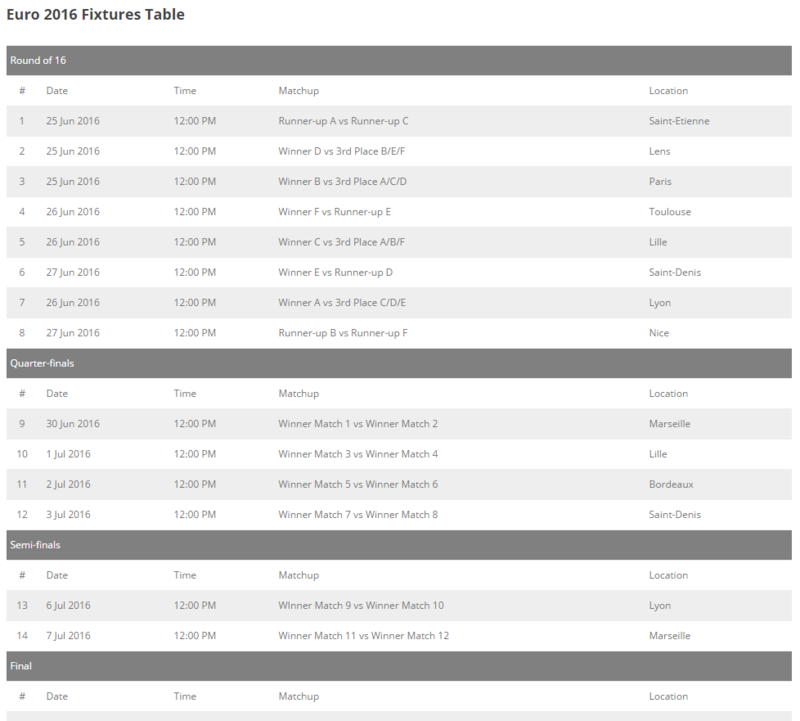 [mstw_tourney_table tourney='tourney-slug'] generates a table of tournament games (fixtures) by round as shown below. The one required argument is the tournament SLUG provided as tourney = 'tourney-slug'. Note that it is the tournament slug, NOT the tournament name. The slug is displayed on the Tournaments admin screen. In addition, most of the plugin’s Settings may be customized for individual shortcodes as arguments. See the Shortcode Arguments man page for the details.